A gracious host parent arranged an informal visit with Marco Bosi, the Vice Mayor of Parma. Students and staff had a pleasant conversation with Bosi about the history of our program and their experiences living in Italy. The Parma Today article (in Italian) was published March 5, 2019. Prior Italian language study and/or coursework in European or Italian history is strongly recommended. Students must be in good academic standing and have a 2.0 or higher GPA on a 4.0 scale. The Pitzer Exchange in Italy is affiliated with the University of Parma. Using the city of Parma as a case study, students will explore topics in Italian history, politics, economy, religion, art, literature, and culture through a series of lectures by area scholars and specialists. The course also incorporates the home stay, local visits in Parma, and other more experiential components of the program to put a human face on the material presented in lectures and readings. 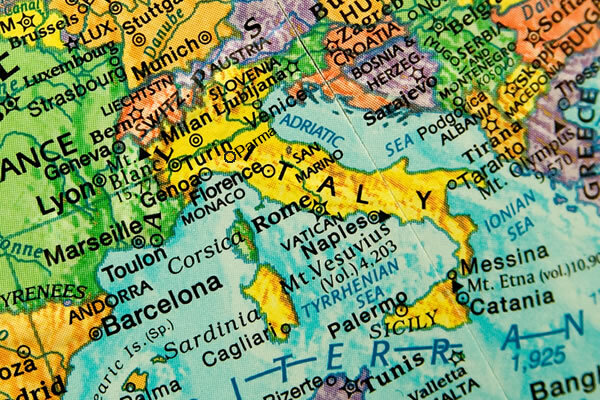 Intensive Italian is offered at the University of Parma. Becoming fluent in Italian, however, is not just a classroom exercise. 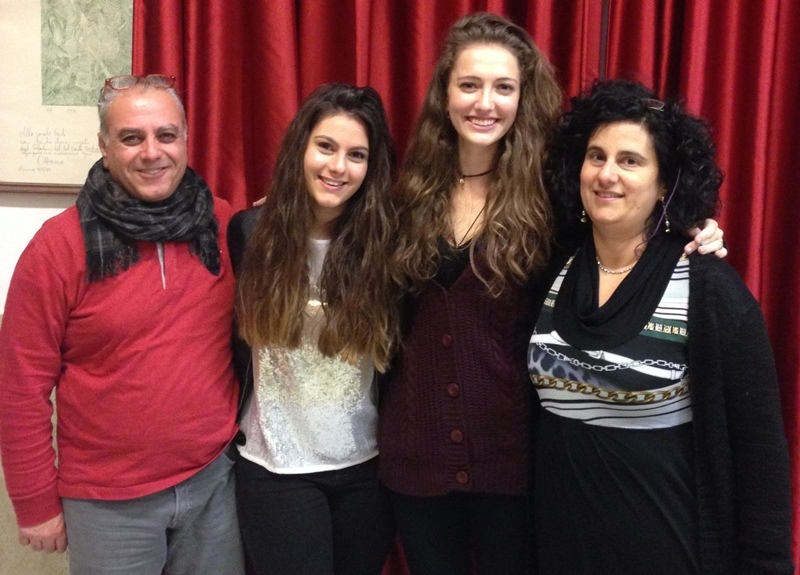 It is part of students’ everyday life through interactions with their host family and local Italians. The competence students develop in Italian will be one of the treasures of their Pitzer exchange in Italy experience. 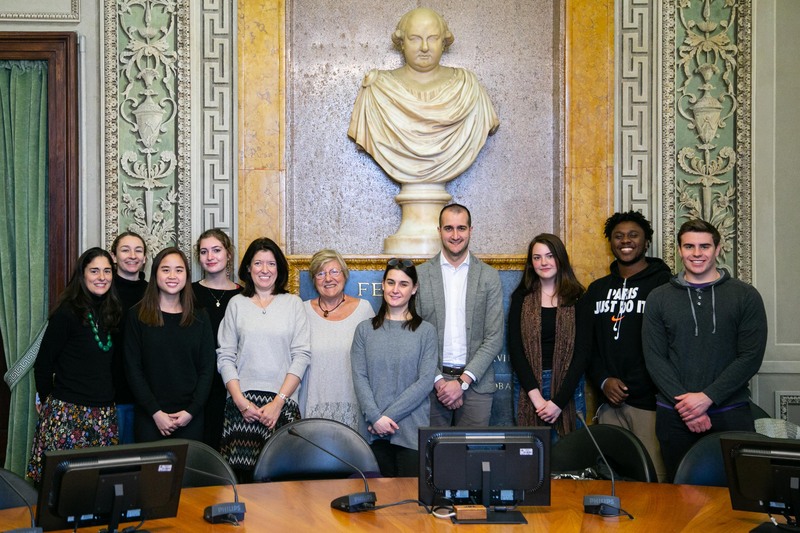 Working with their Language Tandem Partner (an Italian student learning English), auditing University of Parma classes, participating in a Community-Based Service Learning (CBSL) project will advance their fluency. The course aims to give students an overview of the main artists and works of art that have characterized the Renaissance period in Italy. Students will get an introduction to the historical period, the concepts of Renaissance and Humanism, the main artistic techniques used by the different artists and the set-up of a “bottega“. Students will analyze how the different artistic centers (Florence, Rome, Venice, Milan and Parma) have influenced the artists and their works. Emphasis will be given to the analysis of the different works of art through images and originals. The course will include a series of on-site visits in Parma to see works by Correggio and Parmigianino and a full day trip to Milan to see Leonardo Da Vinci’s Last Supper and other important Renaissance works. Class will meet twice a week for a total of 30 hours. Students will receive a half course credit. According to their interests, students are assigned to a volunteer organization in Parma (health, education, immigrant assistance, environmental, etc.) for a full immersion experience that combines Italian language, socio-anthropological training and field work. 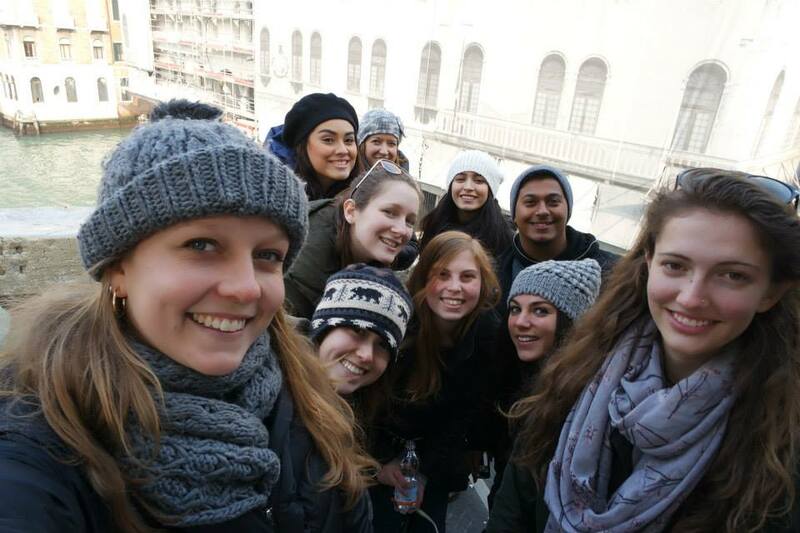 Through hands-on volunteer work at a local service agency, students learn about contemporary Italian society. Click here for a list of CBSL opportunities. During orientation in Parma, students’ Italian skills are assessed and classes are chosen based on the students’ levels. Students with an advanced level of Italian (Italian 44 or higher) may be eligible to take regular university courses in Italian (in lieu of the Intensive Italian Language course) if the test results in orientation show they have sufficient skills. ITALIAN POLITICS AND CHURCH INSTITUTIONS: A DIFFICULT COHABITATION? 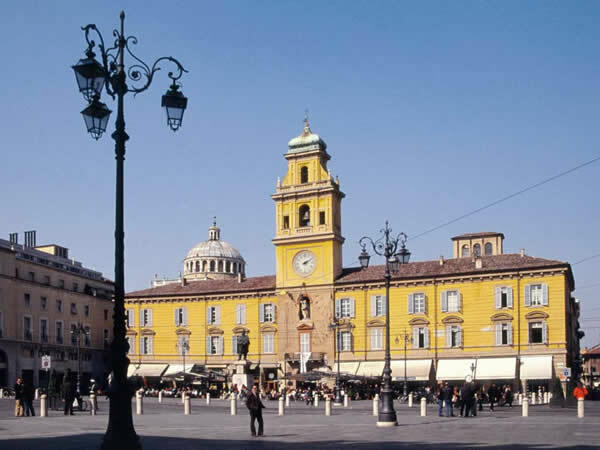 Parma, like many cities in Italy, has many churches – 52 at last count – and yet Parma is not known as a city of churchgoers. How does one account for this apparent anomaly? At the same time, Italian politics seem to be constantly affected by the opinions of the Vatican institutions. How are issues such as divorce, abortion, cohabitation, bioethics issues etc. seen in Parma and Italy in general? Using specific examples drawn from the readings assigned and interviews with Parmigiani of three different age groups: senior, middle-aged, young adult or teen, analyze the relation between Church and State. Suggestions: Write a set of questions for interviews to elicit information on direct and indirect aspects of religion in people’s lives. Attend daily and Sunday Mass at several churches, noting who is there. Interview a priest. Write down your assumptions before starting and try to find ways to challenge them. Note the presence of religious items in the home and other secular places. Eating in Italy is not only “cibarsi” but can be considered as “il piacere di stare a tavola,” a sort of social rite. Based on your readings, lectures, visits and on your experience eating at home with your family and eating out, explore the role that food seem to play in Parmesan and Italian society in contrast to other cultures you are familiar with. Why is food so important in Italy and what does this tell you, if anything, about Italian culture? Are attitudes toward food changing (are vegeterians/vegans present in Italy? What is the attitude towards eating meat?) If so, what influences are responsible for the change? Today the number of immigrants has reached about 3,400,000 (7% of the population). Discuss this phenomenon analyzing the readings provided and interviewing two Italians of different ages and one immigrant person. Use his/her life story as a case study. What is his/her condition today? How does he/she perceive Parma and Parmesans’ attitudes? How do Parmesans perceive immigrants? Can you find examples of integration in Parma? Preparatory lecture (2 hr.) and study trip to Venice (two days). Visit to: Santa Maria dei Frari church, Ponte di Rialto, Piazza and Basilica of San Marco. Renaissance Florence: The Medici family and the guilds. Degrazia, D., Correggio and His Legacy, National Gallery of Art, Washington. Degrazia, D., Parmigianino, in Correggio and His Legacy, National Gallery of Art, Washington. The heart of the Pitzer Exchange in Italy program is being a full member of an Italian family with all its privileges and responsibilities. Through your family, you have the best opportunity to be incorporated into the social fabric of the local community. You witness the real rather than the theoretical culture and, as a consequence, come closer to knowing what it means to be Italian. Most families speak little or no English, though younger family members may be studying English in school. They usually live in apartments with amenities similar to those of an American middle class home. You will find there is less privacy than you may be used to and that there is the expectation that you will spend time with the family. Host families may be located in central areas or outside the town of Parma. Our criteria of selection are primarily based on family’s willingness to open their homes to our students making them feel as members of the family. 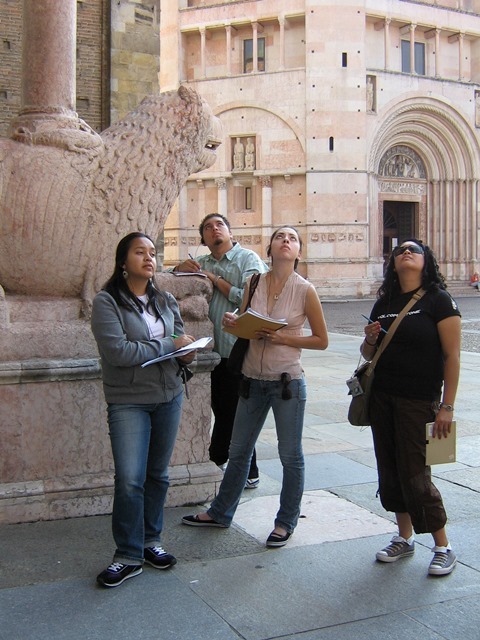 To deepen students’ understanding of topics covered in the core course, students visit important sites in the city of Parma and participate in study trips to Venice and Florence. In Florence, students spend two days exploring the Duomo, Piazza della Signoria and the Uffiizi Museum. Director of the program since the beginning of the program in Spring 1992 and Legal Representative of Pitzer College in Italy, Franca Mora is one of the founders of the program, recognized by the Italian Ministry of Education. With a degree in English language, she also holds a Laurea (B.A. and Master) in Art History (Dottoressa in Discipline dell’Arte, Musica e Spettacolo) at the Università degli Studi di Bologna. 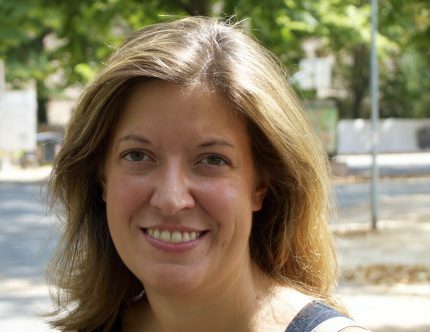 Her wide experience as a teacher, cultural mediator and administrator also includes organizing courses for Italian students of English in English-speaking countries both in Europe and in the United States. She has taught English and Art History for over 40 years. Languages known: Italian, English, French, Spanish. 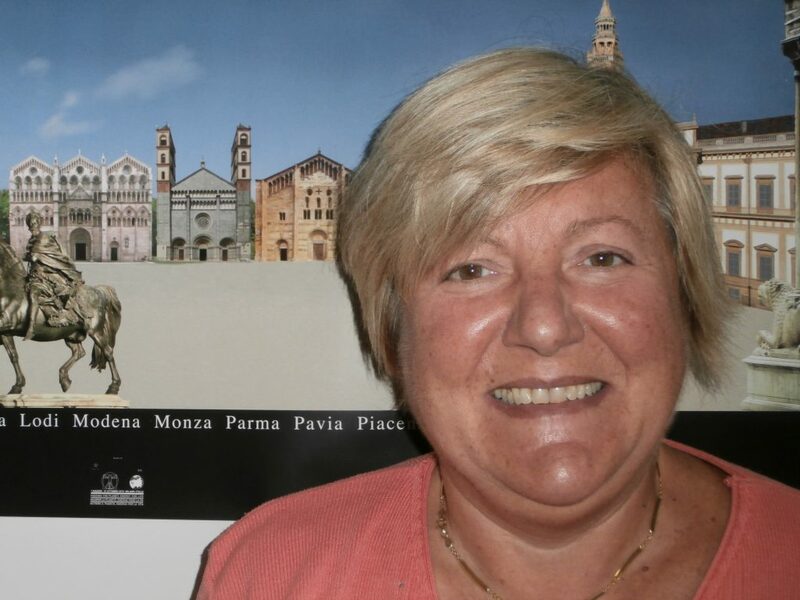 President of the Cultural Association “Discover Parma”. Professor of Italian Culture in the courses: Studies in Italian Culture: Continuity and Change in Contemporary Italy and Survey of Italian Renaissance Art, 1400-1550. Pitzer In Italy Program Coordinator since 2002, she holds a Laurea in Art History and Preservation of the Cultural Heritage (Dottoressa in Conservazione dei Beni Culturali) at the Università di Pisa and a Master in History of Art (with distinction) at Warwick University (UK). She teaches “History and Art in Parma” to MA International students at the Università di Parma. She is also a licensed Guida Turistica Professionale for the Province of Parma. Her academic career also includes a semester at Pitzer College in Claremont as an international student. She has been tutoring Italian students of English and American students of Italian for several years. Languages known: Italian, English, French, Classics (Latin and Greek).